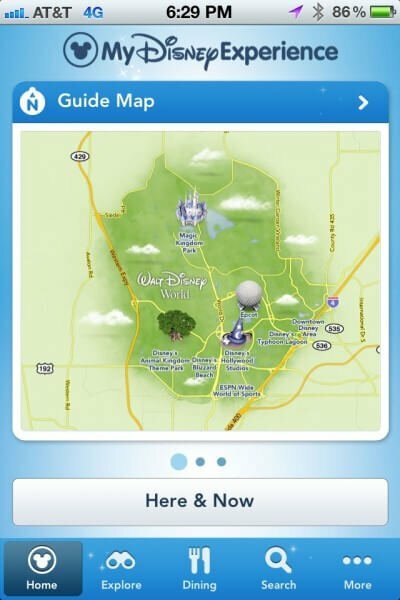 Building on the basics of the Mobile Magic app, Walt Disney World today released a new free app called “My Disney Experience.” The new mobile application not only offers an enhanced way for guests inside and out of Disney’s Central Florida theme parks to check ride and show wait times, browse maps, and make dining reservations, but will also eventually link to Disney’s NextGen Fastpass system. The app appeared in Apple’s iTunes store today, available in iPhone / iPod Touch and iPad versions. 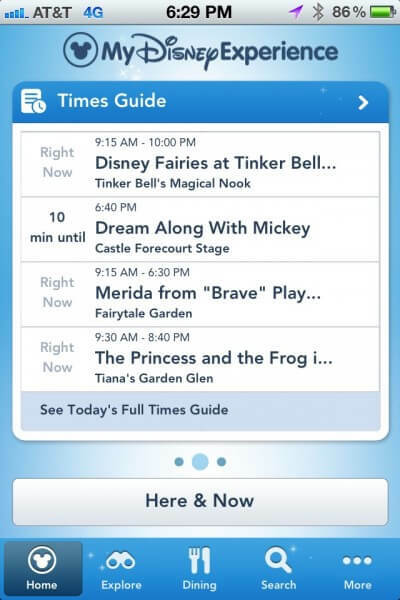 Unlike the Mobile Magic app, wait times and Fastpass information offered in My Disney Experience are not currently restricted or generalized when outside of the parks. 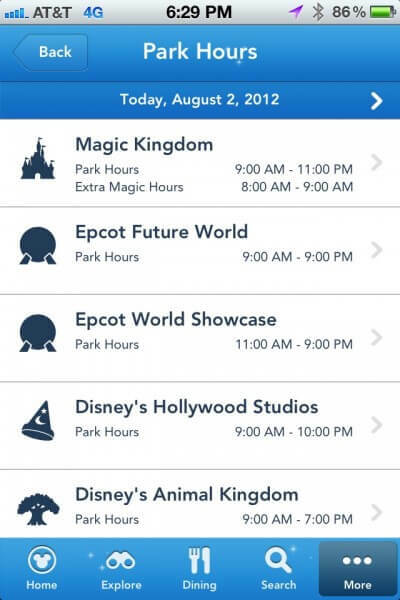 Anyone with the app can check these times from anywhere, not just while at Walt Disney World. Also, while Mobile Magic provides information about both Walt Disney World and Disneyland, My Disney Experience is only available for Walt Disney World due to its connections to the NextGen Fastpass system. More on that below. 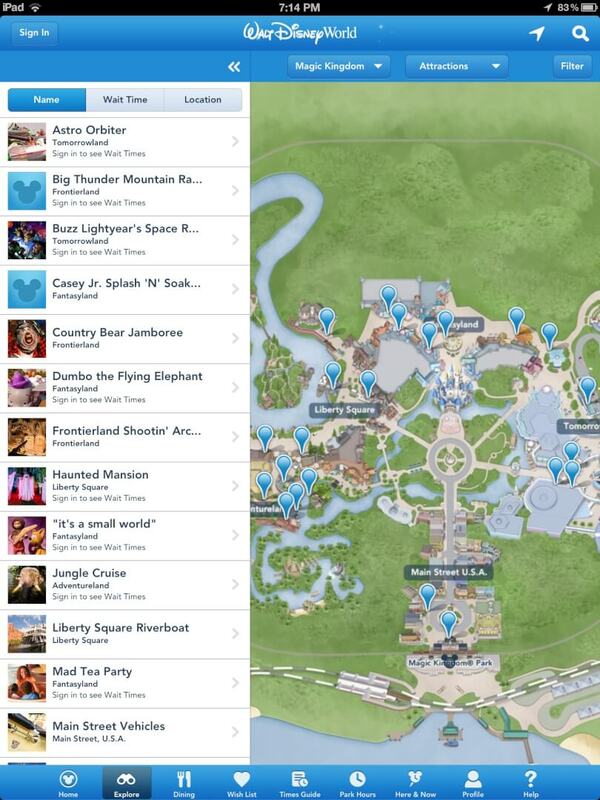 From there, users can browse a map of Walt Disney World, including all four of its theme parks, explore attractions, shows, and parks via lists, make dining reservations throughout the Walt Disney World Resort, and search. The iPad version looks especially stunning, with high-resolution photography complimenting the larger screen, providing more room for more easily accessible features. 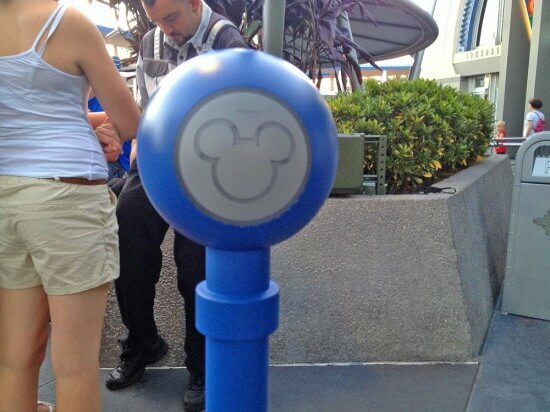 The Mickey head in a glowing circle should look familiar to those who have been following Disney’s NextGen testing. Disney used that same symbol to mark the RFID readers on the turnstile-free entry tests at Epcot last year as well as the more recent RFID-based Fastpass testing at the Magic Kingdom, a program that will continue testing later this month. 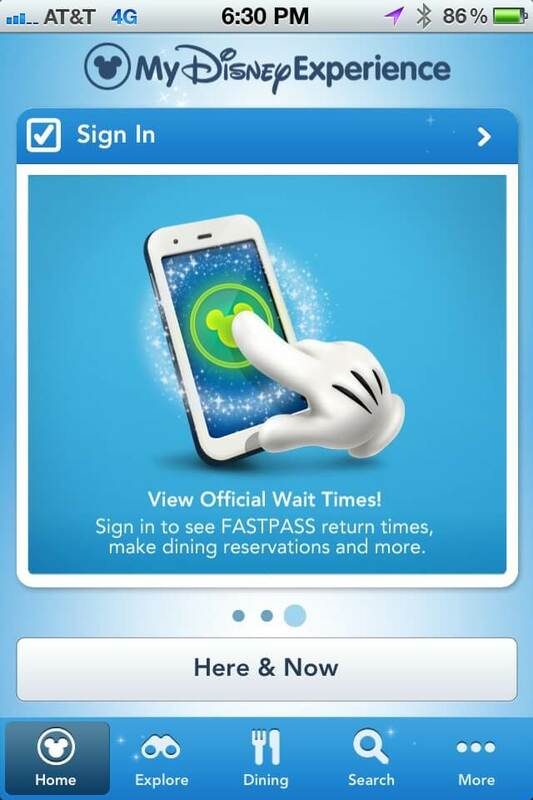 This second wave of NextGen Fastpass testing will somehow link to the new “My Disney Experience” app, allowing guests, as the screen above shows, to check Fastpass return times on their mobile devices while using Disney’s new in-park free Wi-Fi. Attempts to use this section of the app were immediately thwarted upon signing in with my Disney login, returning me back to the home screen. 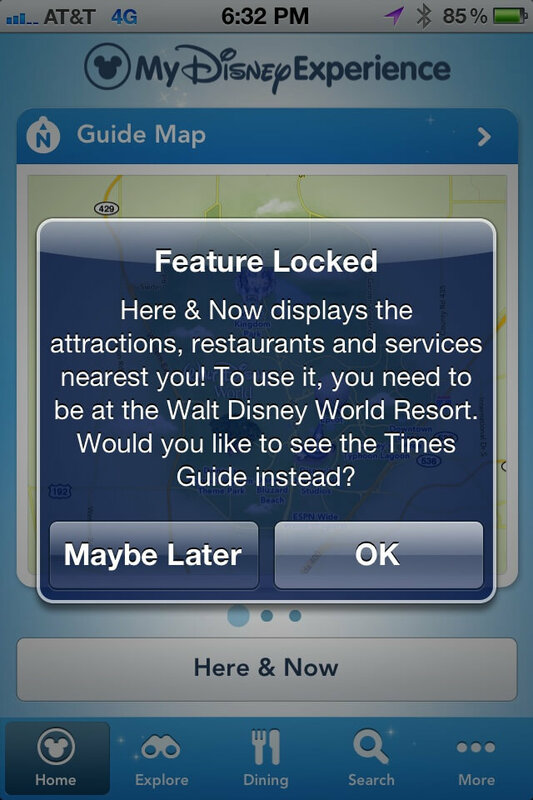 The feature is not yet ready for use by everyone as Disney is just beginning its testing. 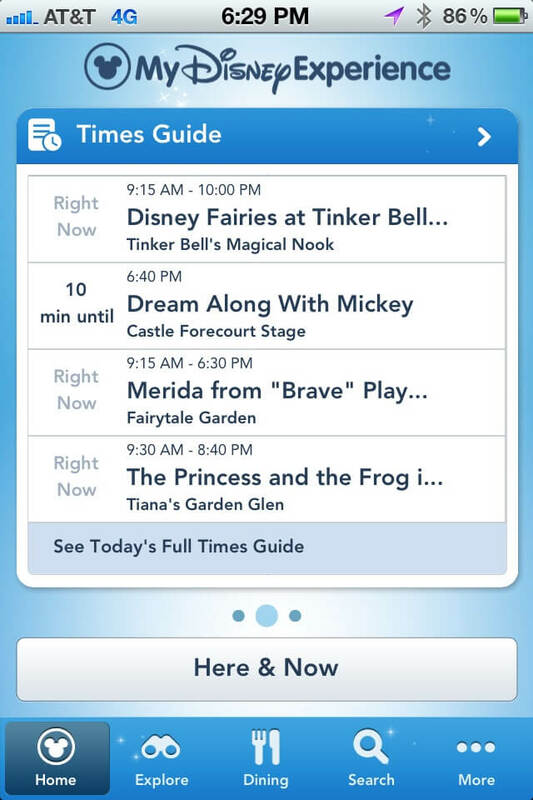 The Mobile Magic app, a partnership between Disney and Verizon, is still available in the iTunes store as well, providing information for both Walt Disney World and Disneyland. 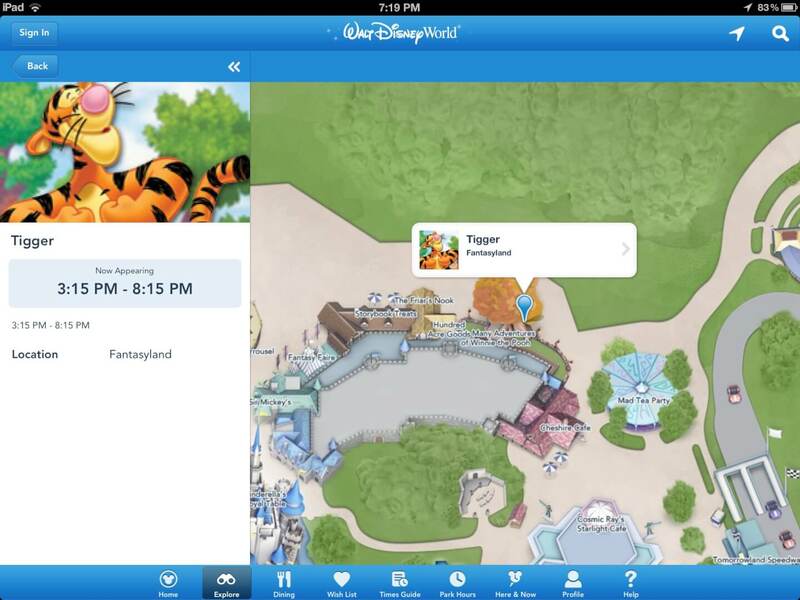 But “My Disney Experience” provides a cleaner interface and the promise of many more advanced features to come, exclusively for Walt Disney World guests for the time being. 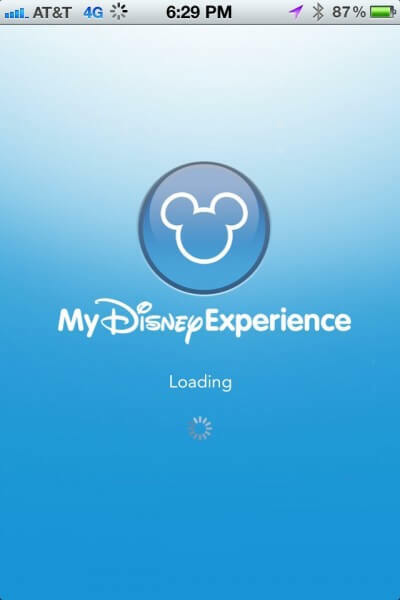 You can download “My Disney Experience” now for free via iTunes for iPhone and iPad. 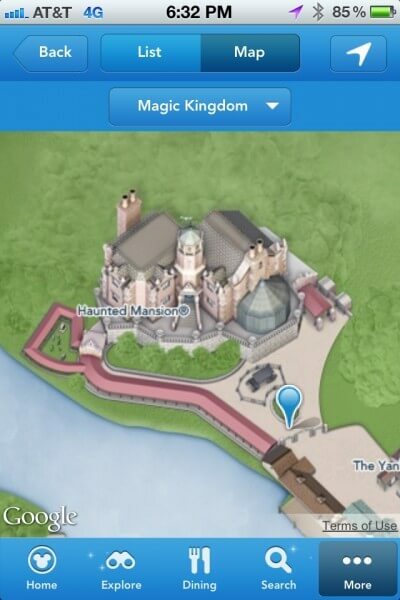 No Android version is available yet, but likely will be in the future if Disney follows the trend set by Mobile Magic, which began on Android devices and was eventually ported to iOS. Works for iPod Touch, too! Any love for the Android users??? Yes, there is an Android version available, too, at least since September. I was reading the article and then suddenly at the bottom….BOMA!! Now I’m STARVING! Great app, but there is definitely room for improvement! A bit disappointed, it doesn’t pull up my existing resort/dining reservations to keep track of like the website–maybe in the next update! No love for international tourists? It’s only available through the US itunes store. I was able to download it in Canada. However, I don’t get wait times. 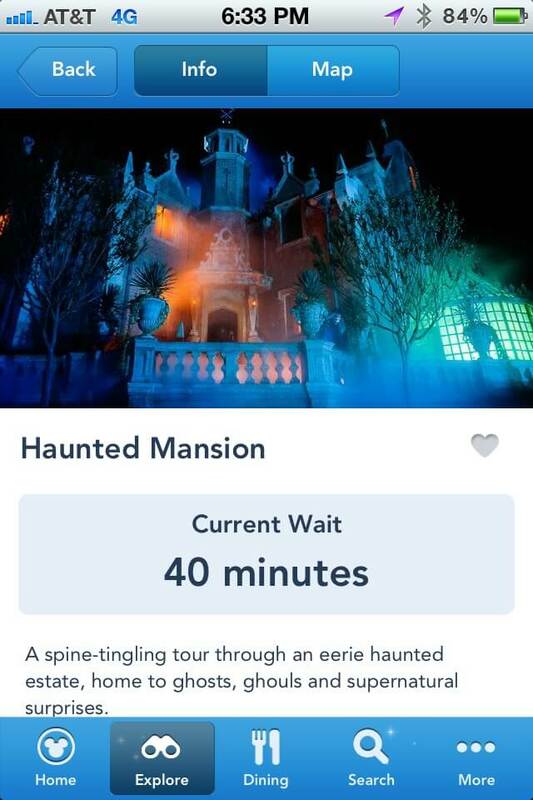 I went to the exact same Haunted Mansion page that is in this article and there was no wait time listed. I just got it from the UK App store by clicking in the link in the article. Hi Mark B what link did you click in which article? I am in UK and can’t seem to download as mobile app on iPhone 5c? Hurry and bring this to the Droid! 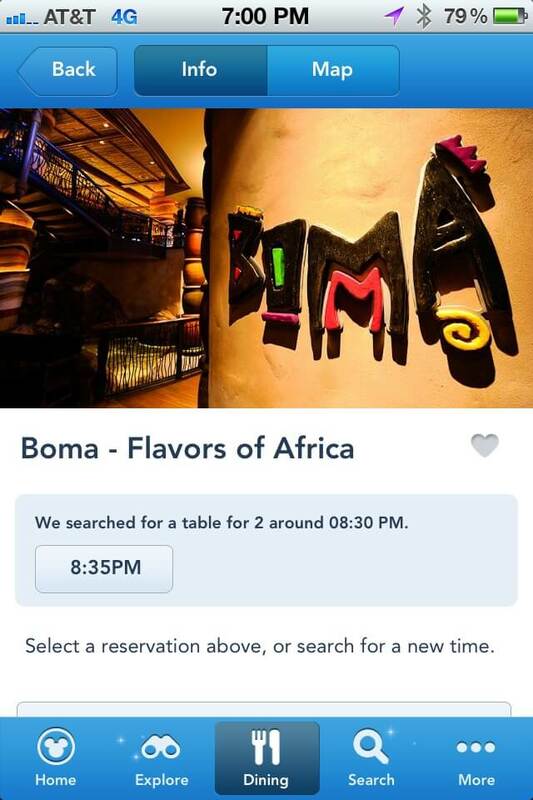 Yes… it would be nice to have access to all existing reservations right at your finger tips. Believe it or not, but not everyone would has access to this new system because of the lack of the phone system. DISNEY – some guests will still need the paper method. I don’t know why you sound so disappointed. The “paper method” doesn’t give you wait times, allow you to make dining reservations, give descriptions of all the shops, give you recreation options, or let you make dining reservations. Sure, maybe you don’t have a phone, but this is going to be great for the other 90% of guests who DO bring their smartphone with them. Since this program is not available on all Droids, Paper would be better than nothing. I can’t speak for Jen W, But I am disappointed because the program is not available for all Smartphones. Love it!!! Just added it to Itouch! We used mobile magic a lot on our recent trip…I can’t wait to try this out!! 92strings, I understand. The Apple corporation once again proves that it is a master at brainwashing folks. “I must have apple…I must have anything with an ‘I’ in front of it…I cannot think for myself….” That pretty much seems to be the consensus among Apple users. My Galaxy S3 smokes the iPhone 4S in EVERY way. I think people are blindly buying Apple because they want that “hipster” or “Look at me! I have an iPhone so I’m cool.” feeling. I’d rather pay several hundred less for a better product. It costs less, it is more user customizable, and more often than not it’s faster than an “i” product. They developed an iOS version first because iOS is way less of a nightmare to develop for. Also, Apple users actually spend money on content, unlike all the cheap teens and wannabe-hackers using Android devices. Looks like Disney must be buying stock in Apple. I cannot think of another reason they decided to appease the iCrowd by making an iOS version before the wildly more popular Android. They must have a contract or something because I refuse to believe they are dumb enough to not see the stats on cell phone users. Far more Android out there these days. The reason they did iPhone first is because more people with MONEY have iPhones. It has been shown over and over that Android users spend less, buy fewer apps, etc. It is the cheap mans phone. They may do others later, but you test on your biggest paying customers first. This is pretty awesome, and a big improvement over the Mobile Magic app. Will be in WDW at the end of the month, can’t wait to try it. 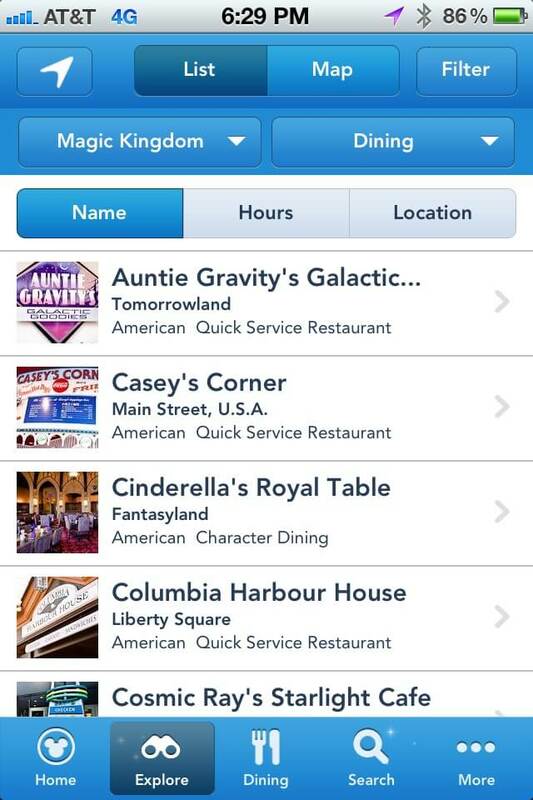 Will WDW table service restaurants “hold back” extra seating exclusively for the My Disney Experience users? Just downloaded the Droid version! Looks great. Heard Therese lots of updates to come in the next few months I can’t waiting try it out when I go in late Nov.
Will we be charged monthly like the Mobile Magic App? I downloaded the “free” Mobile Magic app last summer and was then charged a monthly hidden fee by Verizon. I quickly deleted the app and ended my service. There are no bus schedules at WDW. Busses start running about 45 min prior to park open to 45 after. Busses arrive to a location ever 15-20 min. At peak times busses run more often. 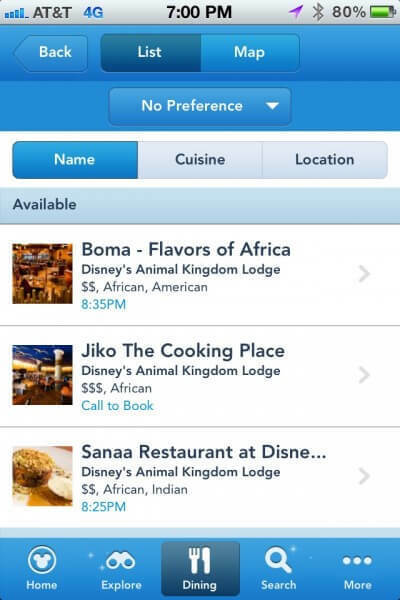 Can DVC Membership #’s be added to my Diz Experience profile? They already have my resort and restaurant reservations-both provided optionally. I wouldn’t mind providing my DVC number so that discounts could be automatic for park tix, restaurants, shopping and special events. Cast members could also personalize member visits with “Welcome Home” greetings. WAIT! 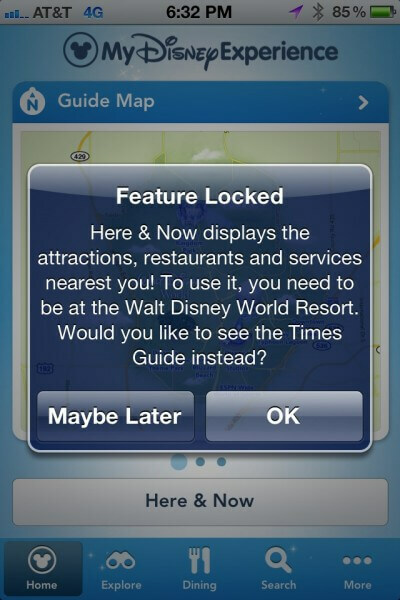 Is there no more official Disney app for Disneyland?! I had it before they discontinued the Mobile Magic. My understanding is that it is just for DW. WHy couldn’t they keep the old for DL whie they reveal the new for DW. Do I have to use an off brand app for wait times in DLand? I have looked for a little while now and found nothing. Yoս have a genuine talent with words. agree the meals with this cookbook has good health, but nonetheless tastes good. No love for windows phone. Of course not. 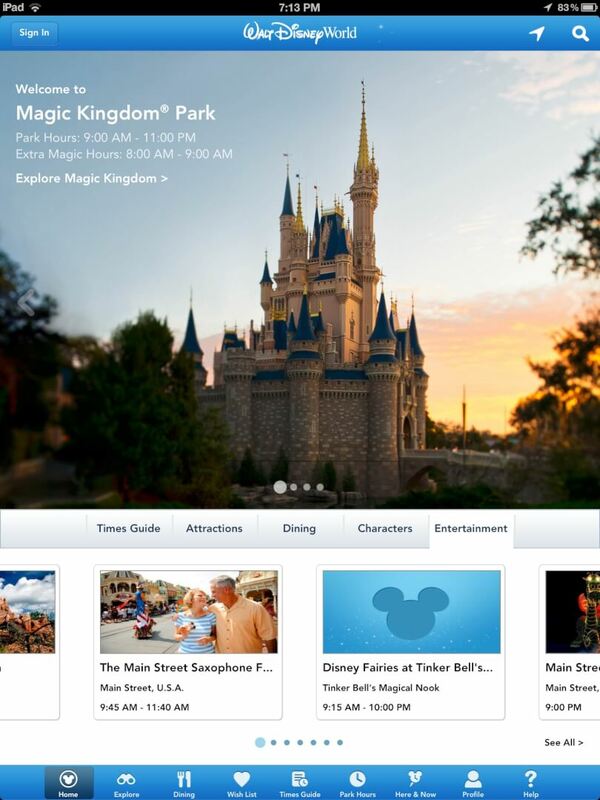 Hey, Disney, want me to come over and who you how to write cross-platform apps? Write once – deploy to iOs, Android and Win phone 8. Not hard to do. ҡeep up the nice work fellows.